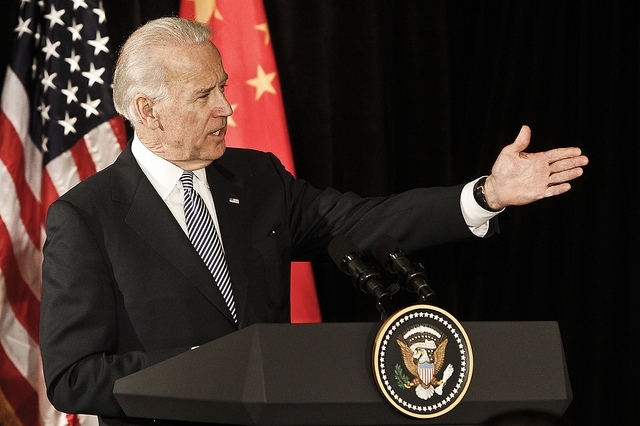 Vice President Joe Biden has yet to throw his hat into the Democratic ring for the presidential nomination. However, at this point, no one is able to predict what Biden will decide. The current two-term vice president has not stated he would not run, however, in a recent interview with Stephen Colbert, Biden revealed, “I’d be lying if I said that I knew I was there,” to indicate he did not feel that he could give 110 percent to the campaign, according to The New York Times. That statement, among others, expressed his doubt that he is ready to run a third time for the office of president. In all likelihood, if Biden does enter the race, it could disrupt the current White House run for Hillary Clinton. As a direct result of her use of a private email server while serving under President Obama as his first Secretary of State, could mean a lack of support in key states for the nomination. After months of skirting the issue and constant denial of any wrongdoing, Clinton recently took responsibility for the email saga, which has enabled Bernie Sanders to chip away at her lead. Prior to this most recent development, Clinton had repeatedly stated, “…everyone knew,” giving the impression that no one objected to her use of a personal email server for State Department business. However, when asked about it, President Obama denied having any knowledge about the use of the private email server, which has drawn even more attention to the controversy. Although Clinton has recently apologized, it has created a significant hurdle to her chances of winning the nomination because some of her supporters are expressing concerns about her honesty. In fact, in a recent survey 61 percent of voters said they did not consider Clinton honest and trustworthy. Although Clinton is the current front-runner for her party’s nomination, the email controversy is obviously going to impact her chances of winning. According to Fact Check, Clinton has released her email server to the FBI, which is now investigating, however the decision to turn over the server is a complete turnabout of an earlier refusal saying, “the server will remain private.” By her own admission, Clinton is now trying to be as transparent as possible, by giving direct answers about her use of the email server, however, the lack of transparency is beginning to take a toll on her position as the party leader. Although Biden has not openly commented on the email controversy, it does serve well as a valid reason for him to be a late entrant. As if the email controversy was not enough, Bernie Sanders caught and surpassed Clinton in a new Iowa poll to which he stated, “…I’m stunned,” in response to the news that he is now ahead of Clinton by one point. Marking the second state in which Sanders has overtaken Clinton, earlier this week in New Hampshire the polls showed Sanders at nine points ahead of Clinton, according to CNN Politics. Subsequently, the recent developments in two critical states for the nomination means that Biden could, in fact, create an even greater disruption to the White House run for Hillary. That disruption is becoming more of a possibility based on the fact that 91 percent of Iowa Democrats feels that Biden, of all three, is the most trustworthy. With Sanders at 86 percent and Clinton bringing up the rear at 64 percent, according to CNN Politics, it has become clear in recent days that interest in Biden is starting to grow and the current vice president may be leaning toward announcing his candidacy soon. That decision, according to Observer News, automatically means a win for Bernie Sanders. Because despite Biden’s apparent support for the blue-collar worker, which he passionately spoke about during a Labor Day speech in Pittsburgh, his record as a former Delaware State Senator paints a different picture of where his passions lie. During his four-decade tenure as Senator in a state with special relationships with some of the largest banks in the world, he repeatedly voted for legislation advocated by lobbyists for those big banks. If the vice president enters the race, it clearly spells trouble for Clinton, because while supporters for Sanders will remain loyal, the remaining votes will be split between Clinton and Biden. Thus, creating the “perfect storm” that could ultimately disrupt this White House run for Hillary. 2 Responses to "Joe Biden Could Disrupt White House Run for Hillary"